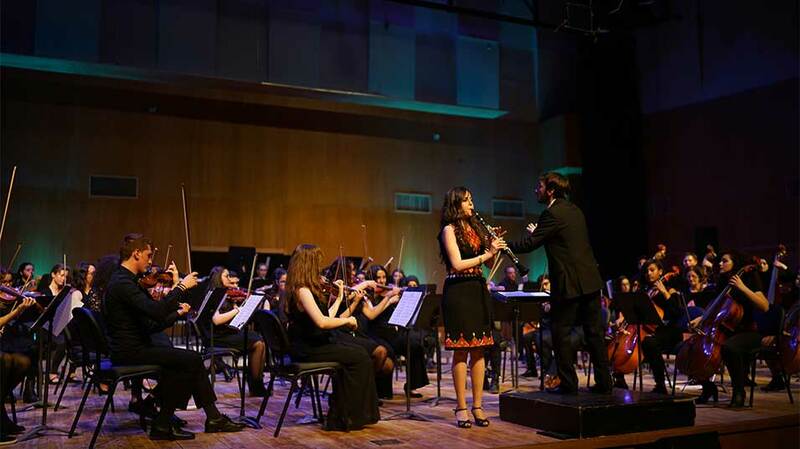 The Edward Said National Conservatory of Music presented a musical narrative entitled, “The Dragon of Bethlehem,” in the Naseeb Azeez Shaheen Auditorium at Birzeit University on February 24, 2018. “The Dragon of Bethlehem” is based on a story of the same name by Huda Al Shawwa, composed by Faraj Sulaiman, and presented by narrator Fida’ Zaidan. The musical also included a rendition of Salim Dada’s Lounga Nahawound, Jean Sibelius’ Finlandia, and a number of other symphonies. The story explores the city of Bethlehem politically, socially, culturally, religiously, and geographically through the eyes of Khader, a sixteen-year-old boy who lives in the Dheisheh Refugee Camp. The musical narrates the everyday challenges that Khader faces and portrays the restricted movement in his blockaded city; Khader has never seen the sea, and he has never been to Jerusalem. 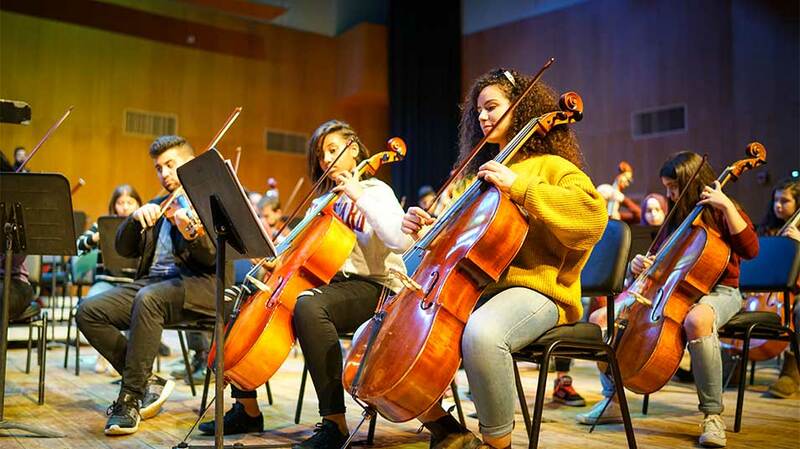 “All of these talented musicians will be joined by a group of music students from the Conservatoire de Musique de Genève [Music Conservatory of Geneve] as part of a strategic partnership with the Edward Said National Conservatory of Music,” added Khoury. The Edward Said National Conservatory of Music Orchestra was established in 2004 and comprises current and former students, teachers, and friends of the conservatory from the Conservatoire de Musique de Genève. 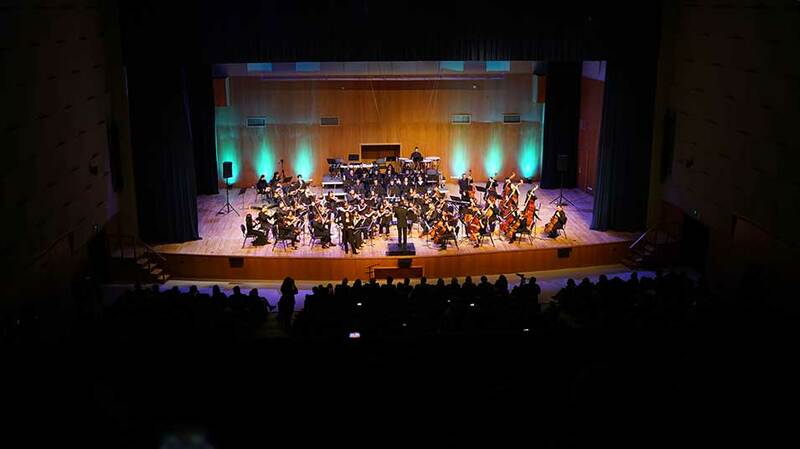 The orchestra plays diverse programs of orchestral music, which include a number of international and Arab classic symphonies. 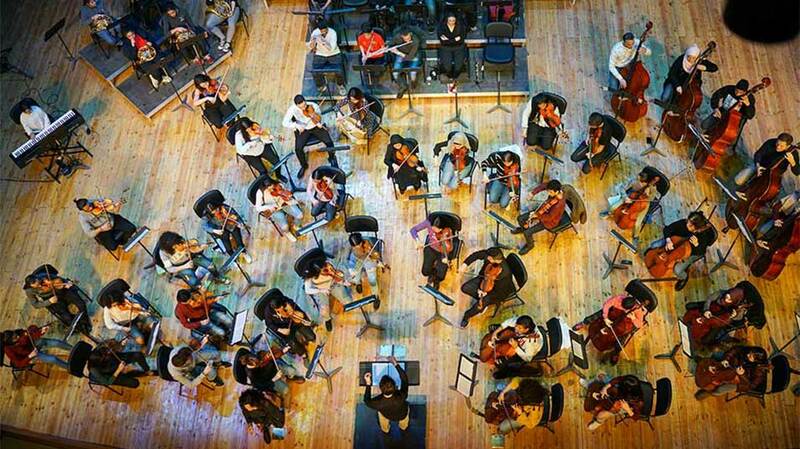 The orchestra allows students to participate in concerto performances and improve their musical skills through extensive training in orchestral music.